Aloha mai kakou & welcome to Kua O Ka Lā New Century Public Charter School! Please donate to our relocation expenses via our Go Fund Me campaign. We will be hosting the HCF STEMFEST here at our Nani Mau campus on Tuesday, February 26, 2019. This is open for our campus and online students. Participant eligibility is students in grades 2 through 8, and each student must be accompanied by a parent. Pre-registration is required and there is limited enrollment. The registration form is attached. For our campus students, forms were sent home with your child today. For our interested online students, you may print a copy and send to our email. If you are unable to print, please call me for further instructions. Our office number is (808)981-5866. Mahalo Pu'uhonua o Puna for visiting to deliver all the water bottles they had received off of their Amazon Wishlists! Ikaika visited and talk story with all 7 classes (Kindergarten- 6th Grade) at the elementary campus at Nani Mau Gardens. The children were so happy and excited to receive their water bottles. 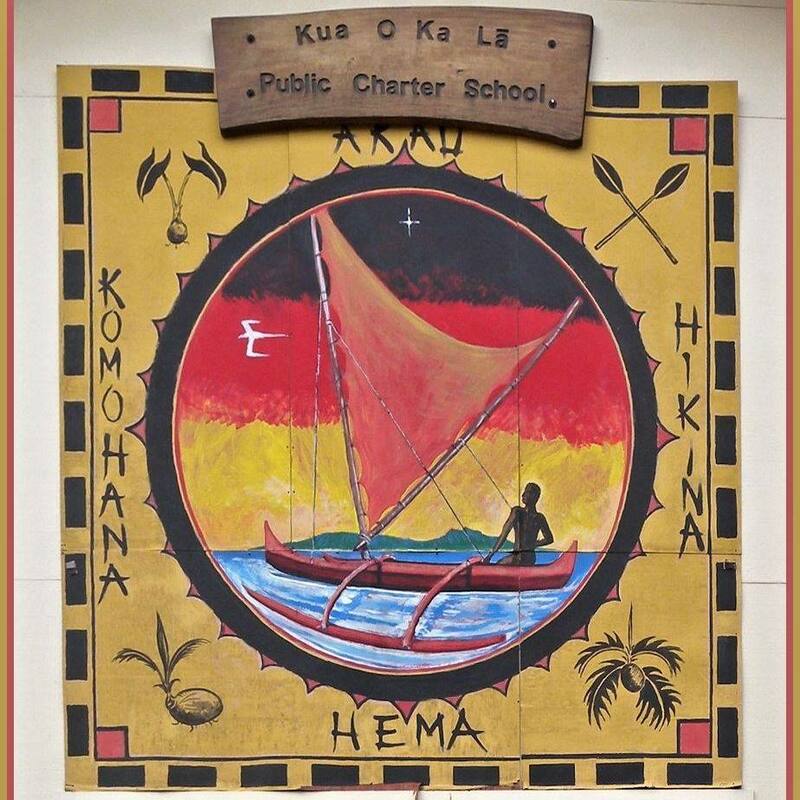 Kua O Ka La NCPCS is a Hawaiian focused Charter School serving Pre-K through grade 12 through both face to face programs and through our hybrid online Hipu`u program. Our mission is to provide Ka Pae ‘Aina o Hawai’i with the knowledge and skills, through Hawaiian values and place-based educational opportunities, that prepares receptive, responsive, and self-sustaining individuals that live “ke ala pono” (positive pilina ‘aina, pilina kanaka, and pilina ‘uhane. Kua O Ka Lā has adopted the concept of Ke Ala Pono – The Right Path - to describe our goal of nurturing and developing our youth. We believe that every individual has a unique potential and that it is our responsibility to help our students learn to work together within the local community to create a future that is pono – right. For more information about Kua O Ka La NCPCS, visit our website at www.kuaokala.org, or call (808) 981-5866 “Ke Ala Pono.” The right path. We are currently enrolling for SY 2018-2019. Congratulations to our graduating class of 2018! Mahalo to all the ohana, haumana, kumu, staff, and community members that helped and or participated in making this years Lā Hoʻomau! Big Mahalo to all the ohana, haumana, kumu, and staff that helped and or participated with us in the Pahoa Holiday parade on Saturday! Mahalo to all the Kumu and Ohana that participated in the 16th annual Arbor Day Celebration. Kua O Ka La students learning about ‘what’s happening in their ocean’ by participating in eDNA study. Click here to see the full article. Our māla Kumu Carly Wyman made a presentation on the school's award winning agriculture and culinary program at the statewide Farm to School conference held at the Hawaii Convention Center. Click here to view the feature in Ka ʻElele, The e-Newsletter of the HawaiiState Public Charter School Commission. Carly also recently had an article on addressing childhood hunger featured on the Food Corps website. Click here to read the article. BoostedFinal from Theresa Sao on Vimeo. Please consider donating to MOANA-NUI-A-KIWA CULTURAL EXCHANGE as this group will be visiting our campus in October. Off the Grid: Kua o ka Lā’s Solar-Powered Sustainability from Kanaeokana on Vimeo. ​Please click here to read a wonderful write up about our schools Blue Zone approval in the OHA newsletter, Ka Wai Ola. Kua O Kā La first grade haumana volunteering time to clean up Isaac Hale park. Click Here to read a West Hawaii Today article on herbicide free park clean up. 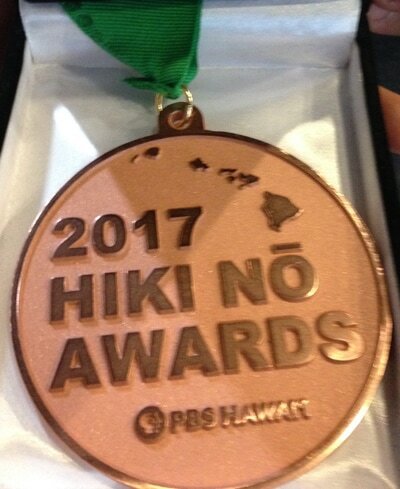 Congratulations to our Miloliʻi Hipuʻu student, Hoku Subiono for his nomination and 3rd place win of a 2017 PBS Hawaii Hiki Nō award. 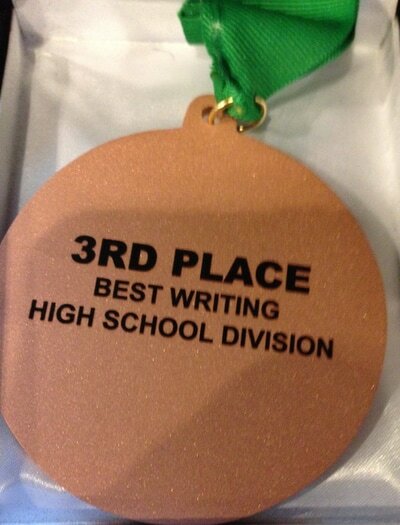 Hoku placed third in the catagory of "Best Writing-High School Division" for his "Opelu Fishing" documentary.​ Click here to watch. 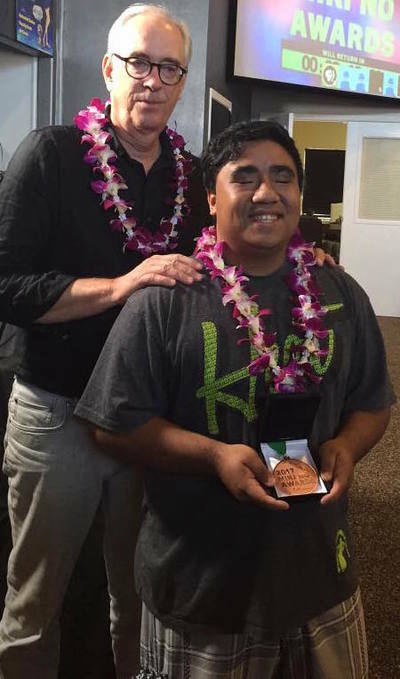 ​Mahalo to all the Kua O Ka Lā Ohana and community for the success of this years La Ho'omau fundraiser! With out the dedication of the students, staff, family members, volunteers, musicians, dancers, vendors, and everyone else involved, events like these that strengthen our community would not be possible. Again, Mahalo. ​Senetor Russel Ruderman came to our kula to speak to our high school haumāna social studies class. ​Kua O Ka Lā haumāna working on the waʻa at Hilo One. 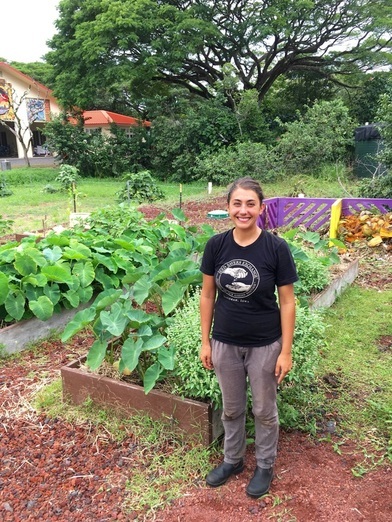 ​Click Here to read an article written by Kua O Ka Lā's wonderful Food Corp staff member, Carly Wyman. Kua O Ka Lā hosts PBS Hiki Nō 11/5/2015 - Watch Now! Check us out onNational Geographic! Kua O Ka Lā is located at Pū`ala`a, Puna, next to Ahalanui warm pond. Pū`ala`a is an intact ancient Hawaiian village complete with historical sites, fishponds, and native habitat that affords an ideal outdoor learning environment for our project-based curriculum. Click here to find us on Google Maps!! !